We believe that we have a mandate from God to reach out to help those in need. Jesus said that As you have done to one of these, you have done to me. We are a small congregation but active in our outreach. Faith and Justice is a great focus of Sierra Arden. Arden Arcade Carmichael Faith Communities - This group of churches are working together to help to coordinate outreach services for the poor and homeless in our neighborhoods. A services directory is available in the church office. Pepper and Delores run this program. There are always opportunities for people to help with this mission here. On Mondays volunteers work to restock and get the pantry ready for distribution. There is also a garden that raises fresh fruits and vegetables to suppliment the pantry. If you like to weed and garden we can always use help. Family Promise - This organization organizes housing for families in churches each evening and classes during the day and school for the children to be a way for them to get back on their feet with a job and then housing. We take our turn by housing these homeless families about 4 weeks during the year. Stan and Kay Muther organize this mission. We need food, people to visit and play games with the children, set up the cots and do the laundry after they leave. There is always lots of work when they are here. Union Gospel Mission - we help the mission feed the homeless on the fifth Monday of the month. We take home made cookies and serve the men dinner at the Union Gospel Mission. International Rescue Committee - Sierra Arden is actively collecting funds to create "welcome kits" for those refugees from war torn areas who come to America with nothing but their hope for peace and a new life. The kits vary in stuffs: kitchen, bath, bedding etc. With all the negativity towards Muslim immigrants we want to counter this with an offer of help and welcome. If you have any questions feel free to contact Tom Tortora who is the chair of this committee. If you have any questions you can call the church office at 483-5501 and Pam will direct your call. 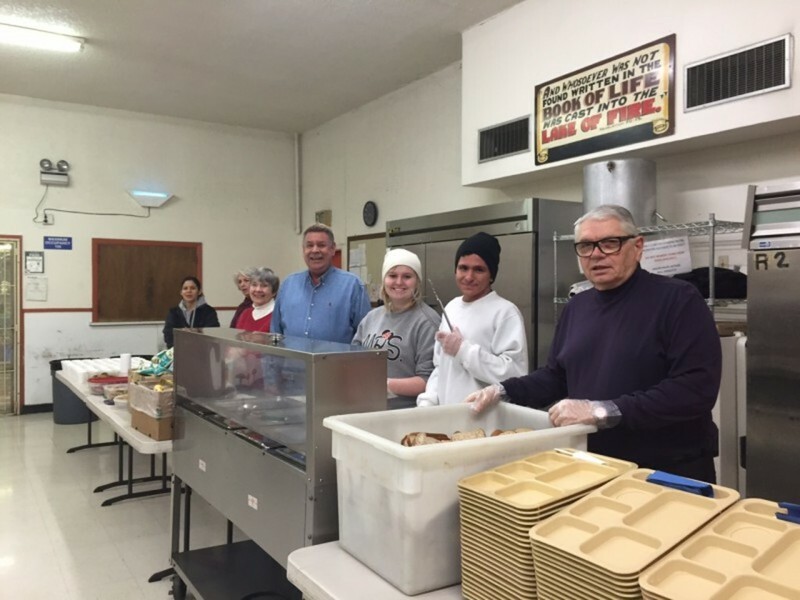 If there is a mission that you would like to do through the church and find others who would like to outreach to help others in our community, we will help you organize it.